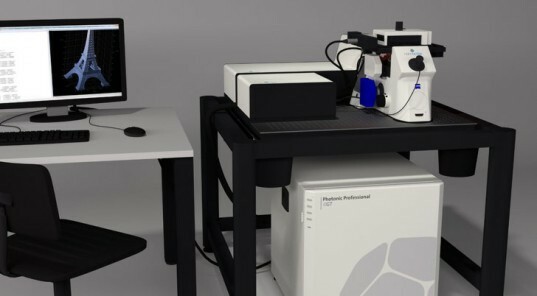 Writing in Gizmag, Leon Gettler explains that the Photonic Professsional GT is a laser lithography system that creates polymer structures by training very short laser pulses on photosensitive material. The system can handle data transfer rates higher than 5 terabits per second by employing rotating mirrors—a technology similar to that used in laser light shows and the scanning units in CD and DVD drives. The near-term practical application of the technology will be in biotech for such uses as generating scaffolds for cell growth studies, says Gettler. 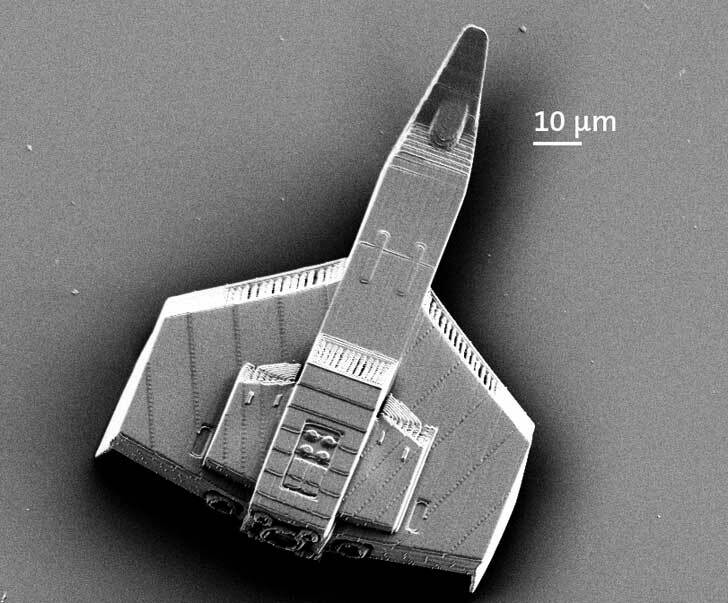 Nanoscribe GmbH is a spin-off of KIT, a German university and research institution focused on engineering and the natural sciences. Dr. Peter Fritz, vice president for research and innovation at KIT, says the new 3D printer is an example of the institution’s “excellent entrepreneurial culture” and its “strategy of specifically supporting spin-offs” which allows research results to be “transferred rapidly and sustainably to the market.” Nanoscribe is still located on the university’s campus, says the KIT announcement. The Photonic Professional GT was introduced in February at Photonics West, an international fair for photonics held in San Francisco, Calif.
Nanoscribe GmbH, a German company based in Karlsruhe, has released the Photonic Professional GT, which it claims is “the world’s fastest 3D printer of micro- and nanostructures.” An announcement from the Karlsruhe Institute of Technology (KIT) says that the printer, based on laser lithography, can produce three-dimensional objects smaller than the diameter of a human hair, with “minimum time consumption and maximum resolution."